Recent Reads – Around the World in Eighty Days by Jules Verne	Shiny, exciting news! There was a bit of a furore over on the LibraryThing NYRB group recently on the subject of Stefan Zweig. I follow the group because I like a lot of the books NYRB publish, and I was interested in the thread because I’ve read a few Zweigs and in many ways feel I haven’t quite got a handle on him yet. The views on LT were quite polarised, with some writers loving his work and some trashing him. One commenter linked to a piece from the London Review of Books several years ago, a really venomous article that absolutely laid into Zweig – pilloried him as a writer and a person, which seemed a little out of proportion to me (and frankly, in places it was really distasteful and disrespectful). Certainly, the Zweigs I’ve read are very personal, inward looking stories, but that doesn’t seem reason enough to condemn him. Digging about on the net, I came to another piece in the Guardian which again questioned his reputation. The feeling seems to be that he wrote trivial, superficial tales, refusing to engage with the changes in the world around him, the collapse of his empire and the bigger issues. However, one commenter on the Guardian, Will Stone (I assume maybe the translator of “Rilke in Paris, which I reviewed here) sprang to Zweig’s defence and mentioned the short story “Buchmendel” as an example of Zweig’s art. I was intrigued enough to search this out, as I felt much of the criticism was unjustified. Well, Will Stone was right. This story is a powerful argument in favour of Zweig’s talents as a writer, and a strong refutation of the accusation of his lack of engagement with the real world. The narrator is emotional about the changes that have taken place in his world, saddened at the fate of Mendel, regretful of the missing past. But this is no overwrought and highly coloured tale of love and loss; instead it is the story of an intelligent but blinkered man overtaken and crushed by events. Zweig engages with the brutality of the real world, the stupidity of those in uniform and authority, and the increasing intolerance of modern society towards those who do not fit in. Mendel lives in a world of his own, of books and learning, and is totally unsuited to deal with the closed, narrow minds of the military. The end is inevitable and moving, and I empathised with Zweig’s narrator in his elegiac recalling of a lost world. And the writing is superb, particularly at the start when the narrator is suddenly assailed by a sense of deja vu, trying to dredge for lost memories, for a past he has put out of mind. I’m so glad Stone’s comment pointed me to “Buchmendel”; the criticisms of the naysayers have gone down in my estimation and Zweig has gone up. His talent as a writer is enormous, to be able to pack such emotional punch into one short story, and comment on civilization versus brutality. There is room for all kinds of literature in the world, and you don’t have to write a huge political novel, railing at the world, to make a point. Like Zweig, you can work on a smaller canvas, but with skill like his the effect can be just as devastating. I shall *definitely* be reading more Zweig. Loved Buchmendel when I read it some years back. The writing evokes such a strong sense of place and time. Also love Zweig’s way of telling a story. A truly gifted storyteller. 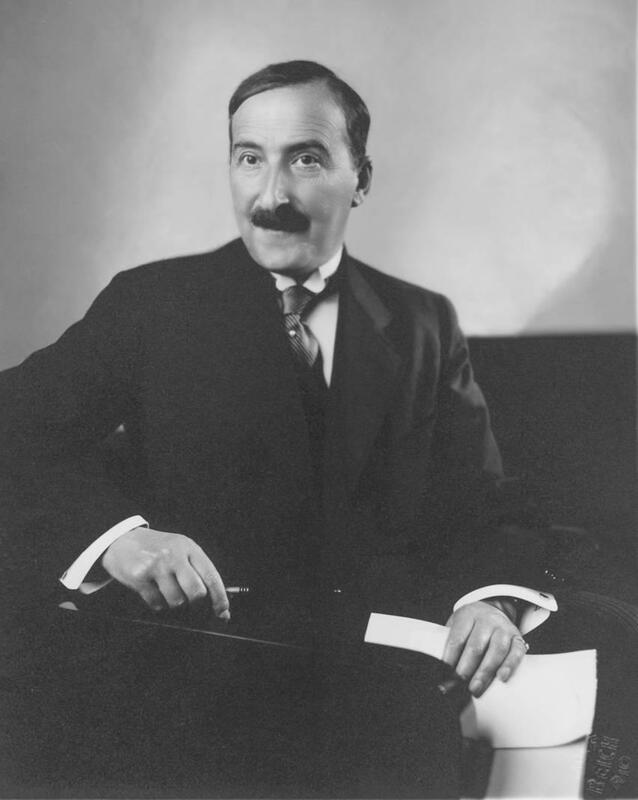 I agree – reading Zweig more widely has definitely made me appreciate his work more. 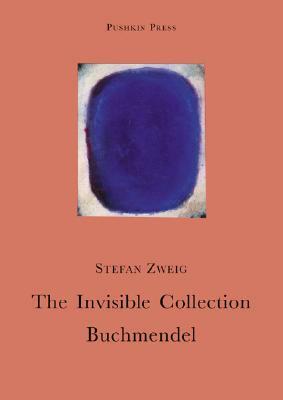 Well I can’t enter the debate as I have never read Zweig but “Buchmendel” sounds fascinating, powerful.and certainly something I would enjoy. I think you *would* enjoy his writing – it’s very evocative! I very much admire The Post-Office Girl, and am astonished to learn that Zweig has been attacked by critics. I’ll have to look for this story. I saw my first Pushkin Press books in England! It was a really nasty article in places actually – particularly when it made disparaging remarks about his suicide and the very sad photo of Zweig and his wife on their deathbed. Pushkin Books are lovely – I’d adore a complete set on my shelves, but then I might need a new house! Thank you for such an interesting post. I keep seeing Beware of Pity in bookshops and thinking it looked good but I was unaware of the Zweig debate. Now I am even more intrigued! I was quite surprised myself to discover the debate, because up until then all I’d heard about Zweig was positive. I was astonished that he’d polarised opinions so much, but I certainly found this story very powerful. Thanks Will – I was just pleased to see that someone was springing to Zweig’s defence, because the article seemed to me nasty and out of proportion. And “Buchmendel” is a truly wonderful story as you point out, so thanks for pointing me in its direction. I will certainly track down his non-fiction – “Journeys” in particular sounds very appealing! I agree. Hofmann does seem to have an almost compulsive hatred of Zweig – I was reading his trans of Roth’s letters and he mentions three or four times there how Zweig was a speck on Roth’s shoe, etc etc, and each time the intervention was completely unnecessary and bizarre – especially when I think he used a footnote to slag Zweig off at one point. Gosh – how bizarre and actually unpleasant. Not what I would call being an objective scholar!